The Medicine Woman’s Treasure Chest – Stinging Nettle – Arthritis and Scorpion Stings! Posted on November 3, 2016 by Smorgasbord - Variety is the Spice of Life. Certainly if you live in the UK you will have come across stinging nettles at some point in your life.. hopefully right next to a convenient patch of dock leaves to alleviate the sting. The common nettle has a long history and not just for causing pain to inattentive hikers. Stinging Nettle or to give it its posh name Urtica Dioica, is found anywhere that is left wild such as meadows and woodlands or by the side of the road beneath hedges. Originally the nettle had an important role to play in daily life in the form of cloth as it was twisted to make fibre. If you lived in ancient Greece and were unlucky enough to get poisoned with hemlock, receive a Scorpion sting, or get bitten by a snake, you would be dosed with nettle. There is an old expression ‘to grasp the nettle’, meaning to get on with a job however difficult, and it orginated from the belief that by grasping nettles with your bare hands and pulling them out of the earth they would cure a fever. 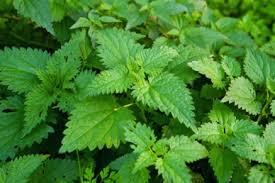 Even today nettles are used in herbal medicine and there is some evidence to suggest that the plant can reduce blood sugar levels and high blood pressure but as always I have to remind you not to stop any medication that you have been prescribed for these conditions without consulting your doctor. Having said that I use nettle infusion with some other herbs when I am on a gentle detox as an aid to purifying the blood and reducing water retention. There is evidence to suggest that nettle’s properties that help urinary tract infections and water retention might also be helpful for men with an enlarged prostate. Also that when used in conjuction with another excellent herb for men, Saw Palmetto, it might help prevent the spread of prostate cancer cells. Nettle has been used to treat internal bleeding, excessive menstrual bleeding and nosebleeds. Despite having a vicious sting, the nettle when infused as a tea and as a lotion can improve skin conditions such as allergic reactions or eczema. The same can be said for osteoarthritis which benefits from the anti-inflammatory properties of the herb taken internally and used as a cream. There is some cosmetic uses for the herb too especially if you are suffering from thinning hair or over oily hair. The sting of the mature nettle comes from the formic acid in the leaves that raises blisters on the skin. But, you can eat the leaves of the young plant, before it develops the formic acid, in salads and they contain a similar range of nutrients to spinach. The leaves are high in Iron and contain potassium and calcium.. You will also get a healthy boost of Vitamins A and K. Here is a brief look at what these nutrients mean to the body and might perhaps change you view about this plant that appears to be out to get you! VITAMIN K: PHYLLOQUINONE; Necessary for proper bone formation and blood clotting. CALCIUM: The most abundant and essential mineral in the body. There are approximately two to three pounds mainly found in the teeth and bones. Apart from its role in the formation of teeth and bones it is also required for blood clotting, transmission of signals in nerve cells and muscle contractions. There is some indication that higher calcium intake protects against cardiovascular disease particularly in women. If you are at risk of kidney stones consult your doctor before taking in additional calcium supplements. This also applies if you are suffering from prostate cancer where there may be a link between increased levels of dietary calcium in dairy products and this form of cancer. It is thought it is thought that excess calcium causes lower levels of Vitamin D, which helps protect against prostate cancer. POTASSIUM: This is the main cation (positively charged electrolyte). It reacts with sodium and chloride to maintain a perfect working environment in and around each cell. It allows the transmission of nerve impulses and helps maintain the correct fluid balance in the body. 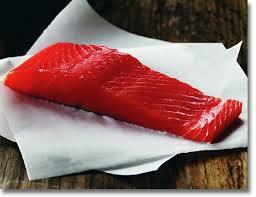 It also regulates levels of acidity and alkalinity in the body. It is also required for carbohydrate and protein metabolism. It is connected to normal heart rhythms. When not to use Nettle. Nettles can cause contractions so must not be used if you are pregnant. In fact you must not take any herbal medicine when pregnant without consulting a qualified herbalist. You should also be careful if on prescription drugs that contain lithium as nettle acts as a diuretic can could effect the body’s ability to excrete excess lithium which can lead to serious side effects. Also should not be taken if you are taking medication for diabetes as it could drive your blood sugar too low. Similarly if you are on medication for blood pressure as this could lower the pressure too far. If you are on blood thinners designed to prevent clotting, taking nettle with its high levels of Vitamin K which aids clotting, could result in the wafarin or other drug becoming ineffective. You can find a number of products containing nettle such as teas and tinctures in health food shops along with lotions and hair products. Posted on October 24, 2016 by Smorgasbord - Variety is the Spice of Life. Last week I covered rheumatoid arthritis and today a look at two more of the over 200 forms of the disease. Osteoarthritis and Gout. You can be affected by being overweight most of your life as I was or leading a particularly energetic sporting life – football, rugby or athletics. It is most common as we get into our 40’s and 50’s when a lifetime of activity can catch up with us. People you have suffered accidents in the past with broken bones may find that the damage is worsened as they get older. All three of the arthritis strains will benefit from some physical support such as Acupuncture – I had that for a time and it certainly was beneficial in the healing process. Yoga, which involves gentle stretching, is excellent provided you have a good teacher and also the same with Tai Chi. Exercise is essential both for weight management and to build a strong muscle structure to compensate for the joint weakness. Also endorphins are released during exercise which acts as a natural painkiller. I hope you have found the post helpful and please feel free to share. Next time Asthma.. a condition that not only impacts the general health of the sufferer but places a huge commitment on all the family. Last week’s post on rheumatoid arthritis.